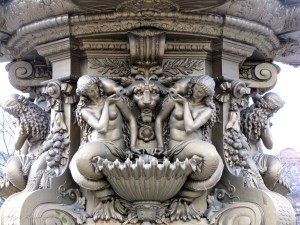 The Ross Fountain is a magnificent example of 19th century cast-iron work, from the foundry of Antoine Durenne ‘Maitre de Forges, Sommevoire Haute Marne’ in France. 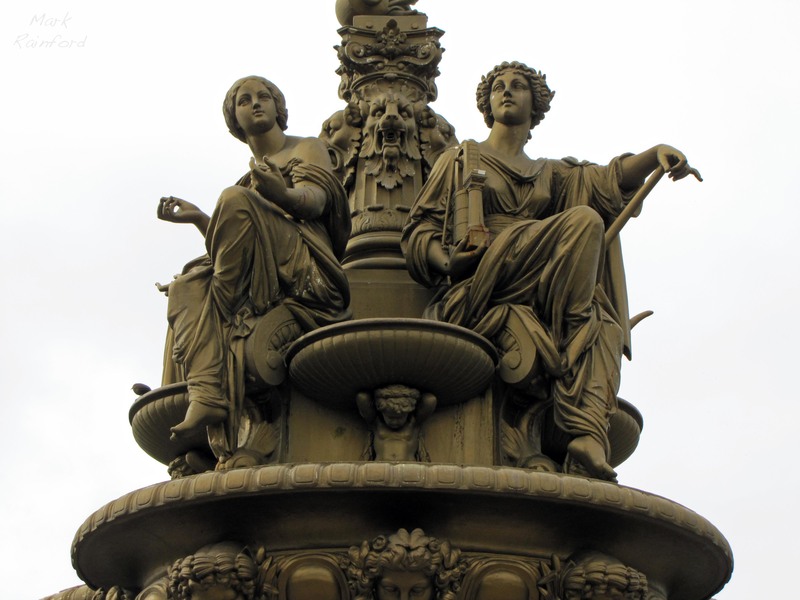 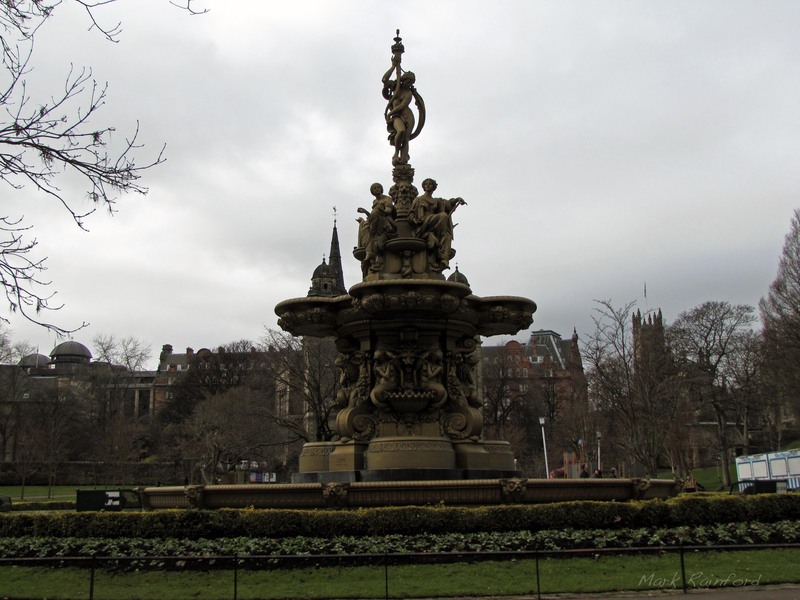 The Ross Fountain was installed in West Princes Street Gardens in 1872. 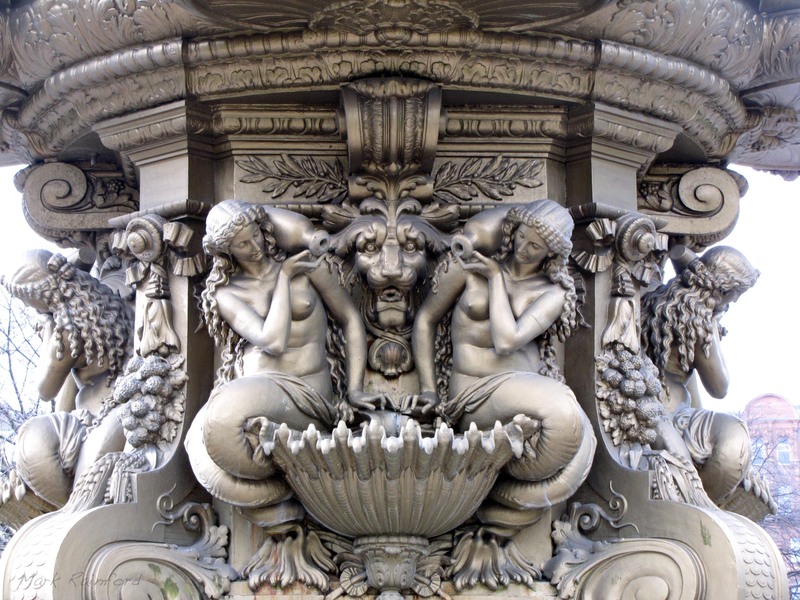 It was cast near Paris, France in the Durenne ironworks in the early 1860’s and featured as an exhibit in the Great Exhibition in London in 1862.